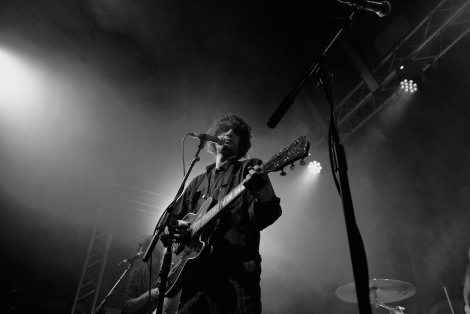 Cult-like and rapturous: Getintothis‘ Joe Viney finally got to see Brian Jonestown Massacre in the flesh at East Village Arts Club last month, and he wasn’t disappointed. We’ve probably all had that moment where a band you’ve loved for years and years, for reason or another, hasn’t swung by your neck of the woods to play. Sometimes the records cease to be enough of a fix, and you start straining to know how they look and sound live. 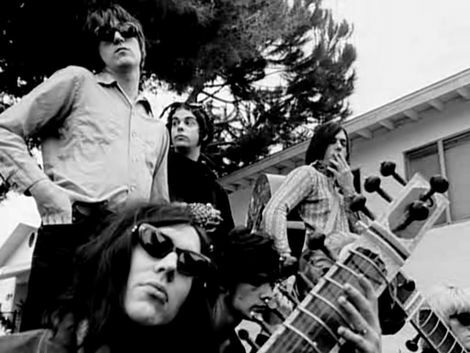 Well, in this instance, it was finally the turn of the Brian Jonestown Massacre (BJM) to answer a few questions and settle this issue once and for all. BJM have always posited a contrarian set of values throughout a long, storied and combustible career, and they even brought the weather with them (to paraphrase that famous song). Running from the pub to EVAC was fraught with danger, as an hilariously heavy downpour of rain nearly drowned speedy gig goers. Suffice to say, there was a steamy atmosphere (not of the good kind) inside as the sold-out crowd’s warmth mingled with the sad dampness of late arrivals. But you know what? It’s inevitable but the wait and terrible weather was more than worth it. 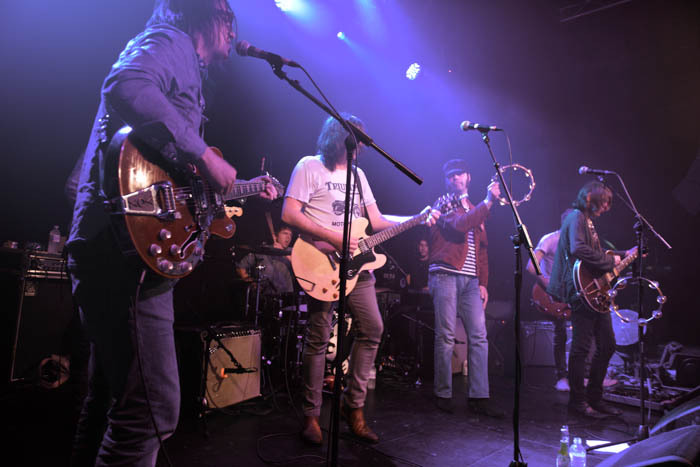 Anton Newcombe, Joel Gion, Matt Hollywood and the rest of BJM put on one of the shows of the year. 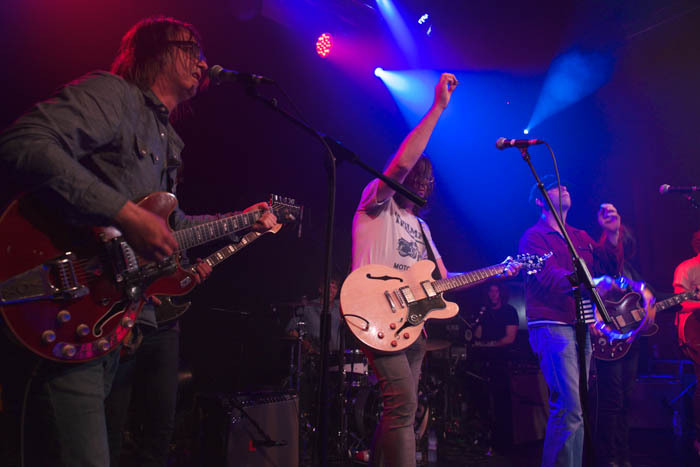 It’s easy to proclaim that a veteran group has “rolled back the years”, but BJM remain vital, fresh and urgent to the present day. This year’s LP, Revelation, is exactly that. It’s the mix of certified classics and soon-to-be stormers that provide evidence of this. The ever-exciting Not If You Were The Last Dandy On Earth sits alongside other memory lane paving stones such as When Jokers Attack, Prozac vs Heroin and the disarmingly fragile That Girl Suicide. The true mark of quality within the soul of BJM lies in the new songs; What You Isn’t, Food For Clouds and Goodbye (Butterfly) all resonate with the sound of a collective still bursting at the seams with ideas. True to form, tonight’s events were cult-like, rapturous and the crowd bathed BJM in a messianic glow that illuminated everyone that managed to squeeze into the venue. Let’s not leave it so long next time.